There are many splendid Islamic monuments in Shiraz, especially its enormous Safavid mosque, but the most notable religious site is the shrine of Syed Amir Ahmad (also called Ahmad ibn Musa). 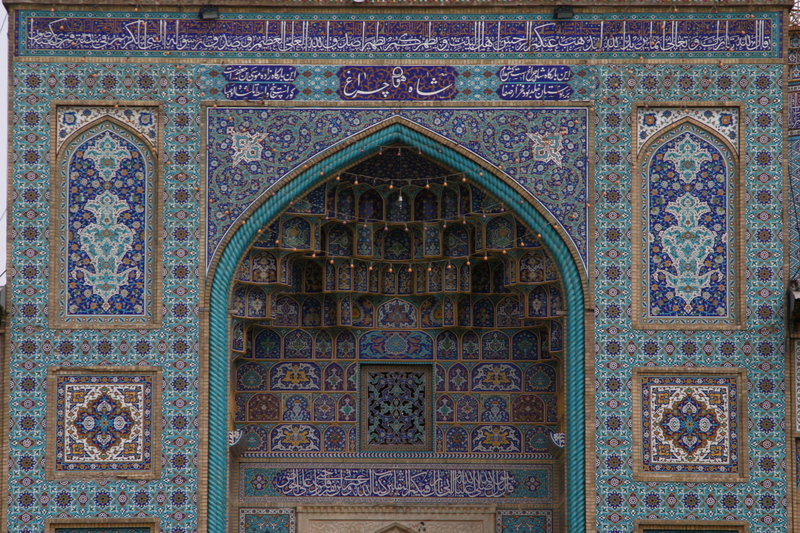 Amir Ahmad and his brother Mir Muhammad, both of whom were brothers of Imam Reza, took refuge in Shiraz following Abbasid persecution of the Shi'ite sect (Amir Ahmad died or was murdered in 835). The brothers' tombs, originally only simple mausoleums, became celebrated pilgrimage destinations in the 14th century when the pious and art-loving Queen Tashi Khatun erected a mosque and theological school by the tombs. Known locally as Shah Chirag or the 'King of Light', the exquisite tomb of Amir Ahmad is a place of truly stunning beauty. 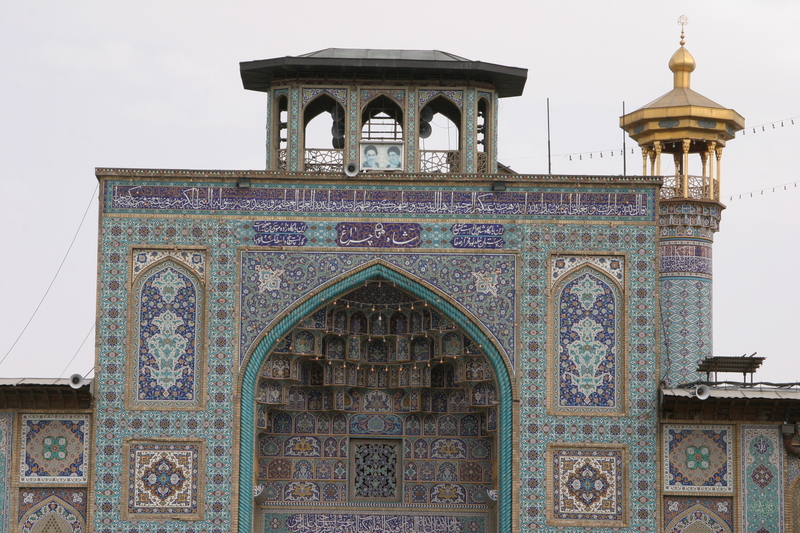 The enormous dome above the shrine is inlaid with hundreds of thousands of pieces of finely crafted tile and the interior walls are likewise covered with myriad pieces of dazzling cut glass intermixed with multi-colored tiles. Source. According to the Encyclopedia of Islam Ahmad b. Musa was highly venerated by the Shirazis and Tash Khatun, the mother of Abu Ishak, built a college and hospice at his shrine. Food was supplied to all visitors and the Qu'ran was recited over the tomb. Ibn Battuta, the traveller, says that the Khatun would go to the tomb on the eve of every Monday. 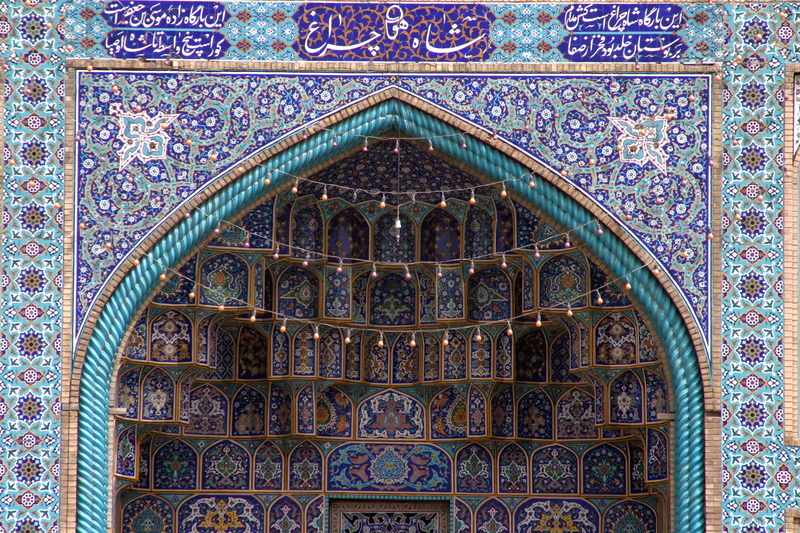 Shah Cheragh was rebuilt in 1506.